We are manufacturers of dynamometers and flowmeters most renowned in the country and also export our products to Europe, Center America, Southeast Asia and Oceania. 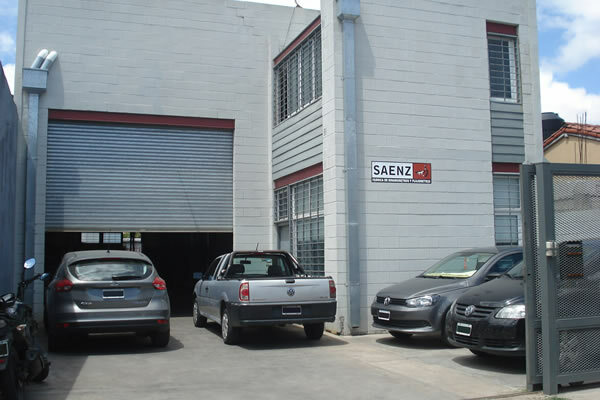 Our Company started in the year 1974, when the engineer Domingo Saenz was leading a diesel engine development project for Navarro Hnos Company. The need to test those engines make him design his first hydraulic brake which is very similar to our DS brake today. Once he made it, the interest of several performance engine builders woke up and started to ask Domingo to build more brakes. Tests were developed with improvement, wining experience and quality on designs, soon every accessory of the dyno was being built and the new tool for performance racing became well known. In less than 4 years, the most important engine builders were testing their engines with our dynos and Domingo decided to give full dedication to fabricate this equipment. He founded our company and grew up very quickly in the performance industry. A few years later, Domingo found the necessity of flowbenches as a complementary tool for the dynos so after a process of development he made in 1985 his first flowbench Saenz-400. Permanent innovation, desire and satisfaction of making better tools with latest technologies took us in the 90�s to build brake testers, computerized flowbenches, inertial chassis dynos and started also making dynos for big Diesel engines. At this point we also started selling our equipment in all South America, specially in Brazil, Chile and Uruguay. The new millennium found us looking forward to take with proud the work and development from our country to the rest of the world. We build business relationships in USA with Audie Technology and Jamison Equipment which started selling our products in their country. Today we have a close relationship with more than 150 machines sold there. This experience also gave us a well-known name in the world market and orders from Europe, Center America, Oceania and Asia started appearing. Today we keep working with the same enthusiasm and desire of improvement Domingo had more than 40 years ago when he started building our path always based in honesty, work and knowledge.